Finland’s society is relatively homogeneous. Out of a population of 5.3 million, only 3.8% are foreign-born, against an OECD average of 12.9%. Finland spends 5.9% of its gross domestic product on education, slightly above the OECD average of 5.2%. Finland recruits its teachers from the top 10% of graduates. From primary through upper secondary level, all teachers are required to have a Master’s degree. Finnish teachers spend 592 hours per year teaching in class, less than the OECD average of 703 hours. This allows more time for supporting students with learning difficulties. At least two out of five Finnish school students benefit from some type of special intervention during their secondary schooling. Finland was the top performer in the PISA 2000 tests and it has consistently featured among the top performers since then. In 2009, the number of Finnish students reaching the top level of performance in science was three times the OECD average. Upper secondary students are expected to design their own individual learning programs within a modular structure. In 2008, Finland’s upper secondary graduation rate was 93%, against an OECD average of 80%. In 2008, more than 40% of Finns between 20 and 29 were enrolled at university, well above the OECD average of 25%. Finland has one of the world’s best performing education systems. Thanks to years of steady progress in education reform, its secondary school students regularly achieve high scores in PISA tests. The gap between the highest and lowest performers within schools is small, and there is little variation among schools or among pupils of differing family backgrounds. One reason for Finland’s success is the high degree of personal responsibility conferred on both teachers and students. In the 1970s and 1980s, management of Finland’s school system was decentralized and traditional academic structures in upper secondary schools were replaced by flexible modular structures, giving pupils more choice in what they study. Teachers were given freedom to design their curriculum and choose textbooks. Schools in Finland are focal centers for their communities. They provide a daily hot meal for every student, plus health and dental services, psychological counseling and a broad array of other services for students and their families. They are mostly small in size, with minimal administrative overheads, and are mainly funded by municipal budgets. Principals are expected to take their share of the teaching load, even in large schools. Teachers share a strong personal and professional commitment to helping students succeed. They assess their students on an ongoing basis, but also focus on helping them to take increasing responsibility for their own learning. Students are expected to work in teams on projects, preferably cutting across traditional subject or disciplinary lines. 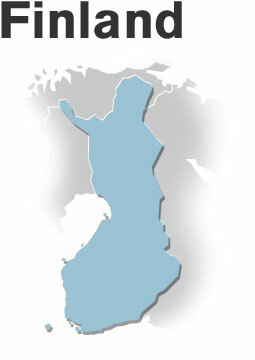 A particular feature of the Finnish system is the “special teacher.” This is a specially trained teacher assigned to each school whose role is to work with class teachers to identify students needing extra help, and then work individually or in small groups with these students to provide the support they need to keep up with their classmates.